If you were at Summit County Animal Control in Akron, Ohio the day after their Adopt-A-Thon event, you’d be treated to an unusual sound–silence. Not a bark or a meow to be heard. That’s because the event was so successful that every single animal on the premises found a loving home. 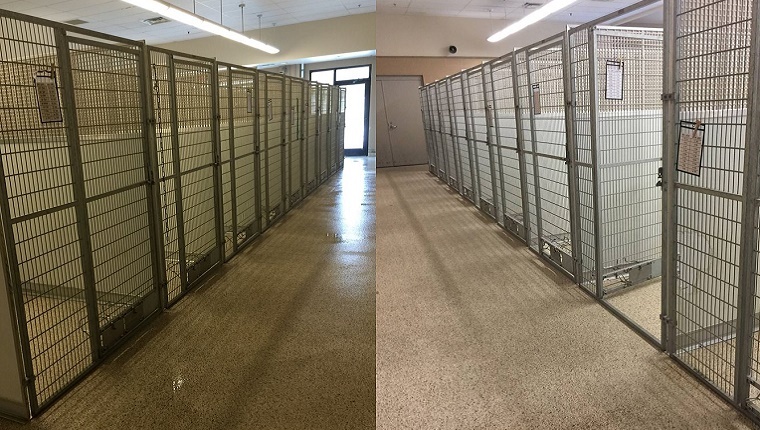 The kennels were completely emptied. The Friends of Summit County Animal Control held the event that sent over 100 animals to their new adoptive families. Many of the people who came in had visited before and knew exactly which dog or cat they wanted to take home, and a few dropped in and left with a new best friend the same day. There was actually a line to visit the animals, and adopters were glad they got there early to beat the crowd. There are always new animals coming in, and the floor won’t stay empty for long. But this is a huge victory for the Friends of Summit County Animal Control, and we hope to see plenty more successful events like this. Every dog and cat deserves a home, and every family deserves a loving animal. What do you think? Would you like to see more events like this to clear shelters and help animals find homes? Let us know in the comments below!